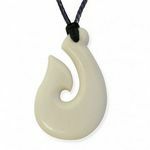 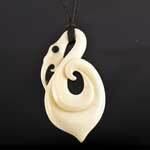 A beautifully hand crafted Hei Manaia bone carving necklace, the pendant also features New Zealand Paua shell inlays for the eyes. 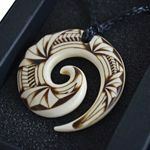 The pendant comes complete with a waxed braid cord, it also includes a detailed description of the meaning of the carving. 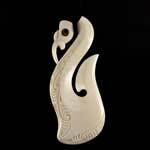 The Maori believed the Manaia to be mythical beings who where the messengers between the mortal world and the spirit domain. 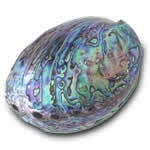 The Manaia had features which included a bird like head, a human form and the tail of a fish. 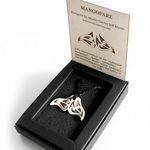 It was believed that these deities protected the morals and allowed them to connect and communicate with their ancestors whom had passed. 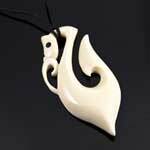 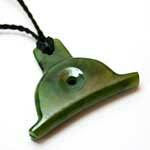 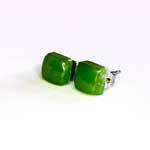 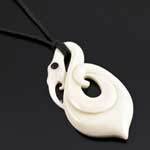 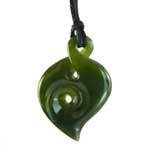 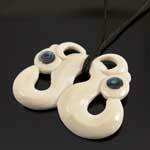 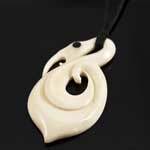 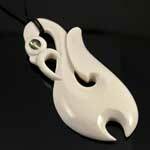 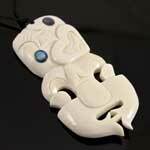 The Manaia is generally considered to be of great spiritual importance and protects it's wearer from evil.